The following fares are estimates only, based on average traffic flow and distance. Fares may vary according to time of day and traffic congestion. 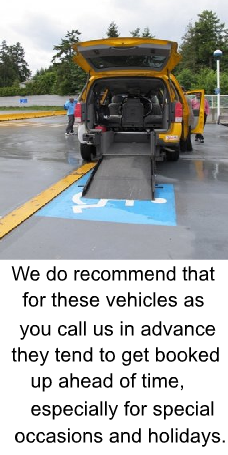 All rates are regulated by City of Victoria bylaws and by the Passenger Transportation Board. When traveling with any taxi company, provincial MCC regulations require that the fee for all trips be determined by the taxi meter. 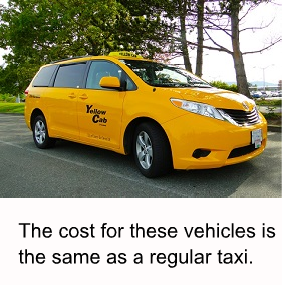 All taxi fares include Canadian "Goods & Services Tax" (GST). Non-Canadian residents can apply to have the GST they have paid refunded at the Border. Contact Canada Customs.for details.Taxi rates are set by the City of Victoria and The Passenger Transportation Board of British Columbia.